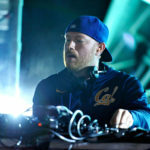 On Friday, June 16, Eric Prydz put out a new episode of his EPIC Radio series just ahead of an extended performance in Spain. Following the broadcast, the Swedish DJ performed a set at Barcelona’s esteemed Sónar Festival; tonight, June 20, he will begin his summer residency at Hï Ibiza, the club which now occupies the legendary Space’s former location. Late in May, Prydz gave his followers a sense of his magnanimous EPIC 5.0 performance through his mix series, but for its newest edition, he showcases a selection more akin to one what might find in one of his club sets. The newest episode of EPIC Radio is filled with unreleased and unidentified progressive and techno, much of which is from himself or his labels. Prydz commences the mix with the first release of his impending Pryda Presents imprint, Christoph’s “Feel,” which precedes a stirring ID. Notably, Prydz also plays “Trippleton,” revealing that the track will be his first release under the Tonja Holma alias for Pryda Presents before moving into cerebral, formidably haunting new Cirez D music and an unreleased remix as himself for Sébastien Léger.